Mercy Hospital Foundation Statement regarding An Bord Pleanala decision regarding Cancer CARE Centre. Following a decision by An Bord Pleanala to refuse planning permission to allow us to build the Cancer CARE Centre on a site close to the Mercy University Hospital, we wish to assure our donors, fundraisers, and supporters that we are determined to find a suitable new location for The Mercy Cancer CARE Centre as quickly as possible. Thanks to the generosity of our donors, we have raised €1.1m to date for the Centre which will provide a quiet, safe place for patients and families dealing with the trauma of a cancer diagnosis. The Centre will also offer counselling facilities and psychological support services for individuals and their family members affected by a cancer diagnosis. When built, it will enable the staff at The Mercy to offer a holistic care plan by not only treating people physically, but looking after their emotional and psychological wellbeing, which is critical at this very challenging time. We are of course bitterly disappointed with An Bord Pleanala’s decision, as it delays our plans to provide a dedicated and specialised space where we can support people affected by a cancer diagnosis. However, we wish to assure all those who have generously donated to our Cancer CARE Centre, that we are already in the process of securing a new location. Whilst waiting for a decision from An Bord Pleanala, we have already launched a new Psycho-Oncology service at The Mercy. Fully funded through donations, the Mercy University Hospital is now only the 4th Hospital in Ireland to provide this specialist service. 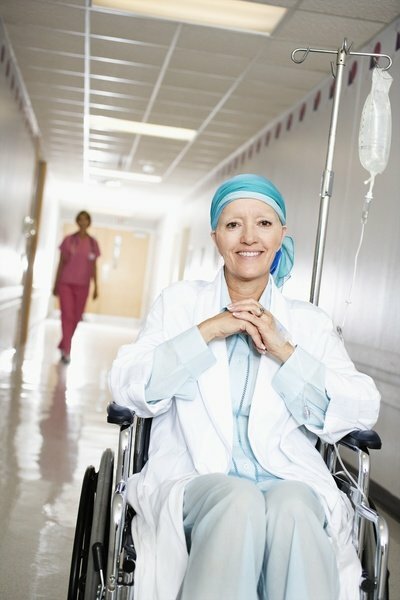 Psycho-Oncology is a discipline which provides psychological support to a person who has received a cancer diagnosis. The service is currently being provided in the Hospital, but the plan is to expand its availability to more patients by offering this in our new Cancer CARE Centre upon completion. In our small country, 30,000 new cases of cancer will be diagnosed by the end of this year. For those people in Munster diagnosed with cancer, The Mercy will be at the forefront of diagnosis, research, treatment and care. We will be Leading the Fight Against Cancer. Through our Cancer Appeal, we want to make it better by using your donations to fund projects that will improve outcomes and experiences for patients and their families. Diagnosis: Cancer patients deserve the benefit of being diagnosed with the latest world-leading technology. We will support investment in equipment and predictive medicine to deliver faster and more accurate diagnostics resulting in personalised, more effective treatment plans for cancer patients. Treatment: Our funding of technology and equipment will allow our medical and surgical teams to give patients access to the very best treatment options offering world-leading surgical outcomes to our cancer patients. Clinical and Medical Research: With the support of Research Grants from the Foundation, our Surgical and Medical teams will be able to advance new treatments for many different cancers. Care: We place the highest importance on patient dignity and care at the Mercy so that cancer patients feel comfortable and reassured throughout their treatment and their families feel welcomed. We are committed to funding a range of services and facilities that will improve their experiences. Thanks to our wonderful donors MUH is now one of 4 hospitals in Ireland offering this service. Our new Psycho-Oncology service is fully funded through donations and provides psychological support to patients with cancer experiencing emotions like anxiety, depression, distress and anger. In 2018 we need to raise €24,000 to expand this service to be able to help more people and in 2019 with increasing rates of cancer in our community, we will need to raise a further €40,000. The Mercy is currently the only hospital outside Dublin offering this service. It is vital in diagnosing and staging some of the most common cancers in Ireland including oesophageal, stomach, pancreatic and lung cancers. We still need to raise €200,000 over the next two years to keep this service in Cork. Click here to read about Colleen, one of the many patients who has benefitted from this vital service right here in Cork. 3D Minimally Invasive Surgery (MIS) is a modern day approach which allows surgeons to perform complex surgeries with greater speed, accuracy and precision. We have made a commitment of €150,000 over the next number of years to fund this new system. In 2017 we granted the first €33,000 so we still need to raise a further €120,000 to complete this project. We have committed €120,000 over the next three years to support Clinical Research being carried out by Professor Micheál O’ Riordáin in the area of Colorectal/Bowel Cancer. Over the next three years, we hope to grant €40,000 per annum to fund research nurses seeking to advance treatments for Bowel Cancer. Expected to cost in the region of €1.9 million we are very close to starting work on what will be the Foundation’s biggest project to date. We are delighted to have raised €1.25 million so far and now need to raise at least €700,000 to ensure funding is in place to build this new space for cancer patients and their families. You can read more on the Cancer CARE Centre here.